A study of the attitudes and behaviours of young people at music festivals found that a majority were in favour of drug checking, and would reconsider taking a drug if they were aware of its contents. The study was conducted by researchers from Western Sydney University and the University Centre for Rural Health North Coast (UCRH), in collaboration with the North Coast Positive Adolescent Sexual Health Consortium (PASH) & the North Coast HIV & Related Programs Unit (HARP). Western Sydney University medical students attended a major Australian music festival in 2016 and conducted the survey of 642 young people, aged 18-30 years, as part of a community research placement within UCRH. 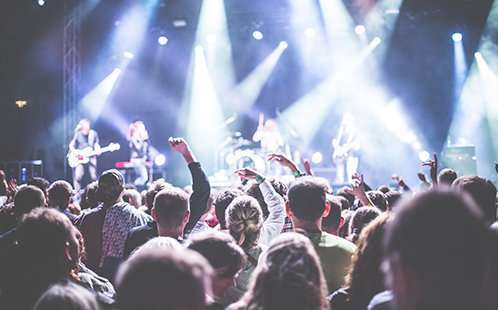 Dr. Sabrina Pit from the School of Medicine at Western Sydney University says the study provides an insight into the views of Australian festival-goers on the contentiously debated issue of drug checking. "We know that drug use is relatively common amongst young people that attend music festivals. In this survey, 73.4 percent of participants reported using illicit drugs in the past 12 months," says Dr. Pit. The results of the study, published in the Harm Reduction Journal, indicate that young people are receptive to the notion of drug checking and, if available at Australian festivals, would utilise the services to determine the content and purity of drugs. 54.4 percent indicated they would be highly likely – and 32.7 percent would be somewhat likely – to utilise free drug checking services at music festivals. 86.5 percent believed that drug checking services could help users seek help to reduce harm. 84.9 percent believed that drug checking services should be combined with harm reduction advice. When asked whether the results of drug checking would influence their drug use behaviour, participants reported that they wouldn't take substances shown to contain methamphetamine (65.1 percent), ketamine (57.5 percent) or para-Methoxyamphetamine (PMA) (58.4 percent). Dr. Jennifer Johnston, Research Fellow at UCRH, says drug checking has been trialled internationally, with demonstrated value as a harm reduction and health promotion strategy. "The idea is not to facilitate or condone drug use – but to help people make better informed decisions, and to provide an opportunity for harm reduction information and health promotion messages to be given directly to young people." The findings of this study can contribute to the debate regarding whether drug checking services could potentially play a major role in harm reduction and health promotion programming for young people attending festivals in Australia.